The Mainstream CO2 Sensor C500 is designed for mainstream measurements using sophisticated infrared absorption spectroscopy to measure ETCO2 with mainstream, measurements are taken directly at the patients airway, so response is faster and there is less chance of erroneous, artifact data. 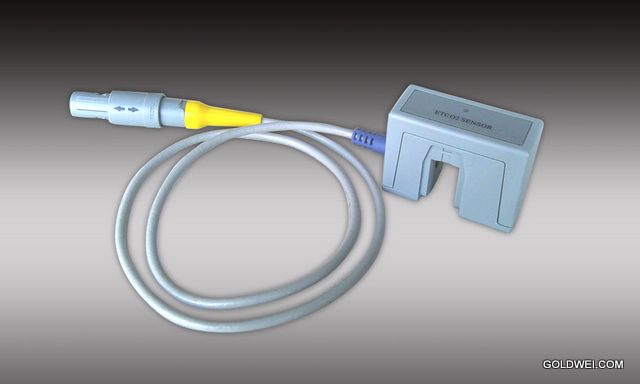 The analyzer portion of the sensor cannot be contaminated with patient secretions, and there are no pumping or pneumatic components to replace. Maintenance requirements and overall cost-of-ownership are minimized. 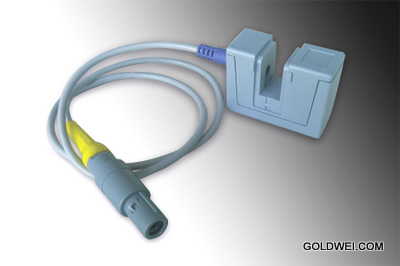 Our exclusive family of airway adapters are easy to use and durable enough even for long-term ventilator patients. Yet, they are inexpensive and disposable. The Mainstream CO2 Sensor C500 can be integrated with other components, software packages and accessories, making it easy for you to configure your patient monitoring systems with state-of-the-art respiratory management and analysis technology now and into the future. Below is a list of monitor brands, some of their models use the Respironics CapnoStat5 CO2 sensor, for those monitors, you can use our mainstream CO2 sensor model C500 directly without any problem, you don't even have to change anything on the software. CO2 gas concentration (mm Hg), End-tidal CO2, Inspired CO2, Respiratory Rate.